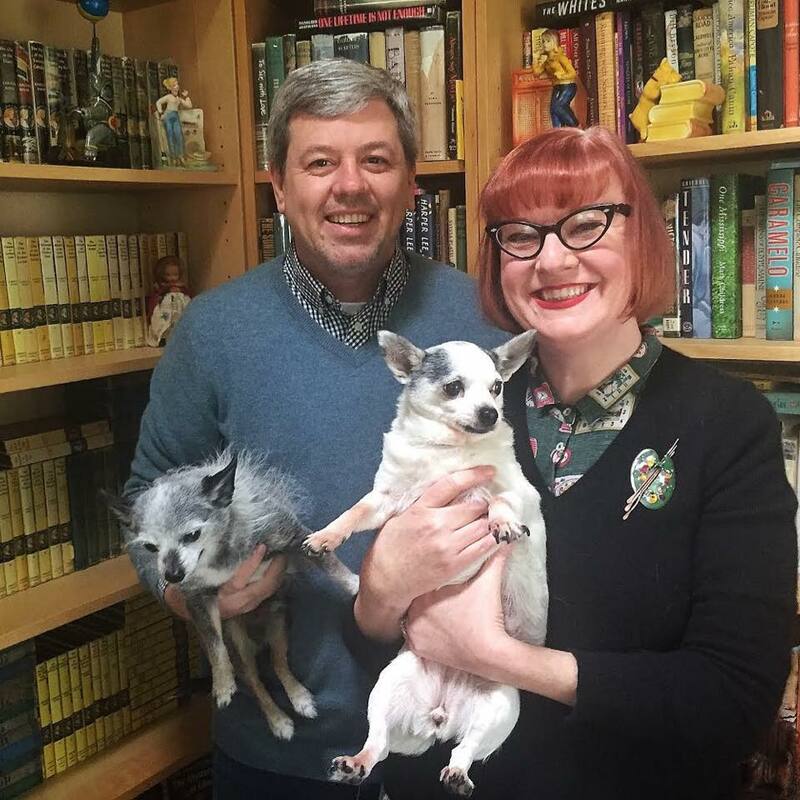 Karen Finlay, a national account manager at Chronicle Books and veteran of the publishing industry for more than 15 years, has purchased Vallejo Bookstore in Vallejo, Calif., and on June 1 will reopen the store under the new name Alibi Bookshop. To help with a variety of start-up costs, including business licenses, a POS upgrade, new fixtures, floor repair and more, Finlay has created a Indiegogo campaign asking for $30,000. With just under 20 days to go until the campaign closes, Finlay has raised more than $15,400, or roughly 51% of her goal. Some 136 backers have supported the campaign, and backer rewards include things like an Alibi Bookshop postcard featuring personalized book recommendations, membership in the Alibi Bookshop club, and even an entire shelf in the store dedicated to a particular backer and their favorite books. "I feel so thankful for what people have donated so far," said Finlay. "Right now we're sharing the word and getting other people excited." Karen Finlay and her husband, Jon Burchard, with their dogs Dino and Dorothy Parker. Finlay plans to keep the 1,000-square-foot store as a mostly used bookstore, but she will bring in a selection of new bestsellers and personal favorites to complement the inventory. She explained that she had initially thought of turning the store into a primarily new store, but eventually decided against it because people in Vallejo "really want a used bookstore." Alibi will carry books for all ages, and mysteries and thrillers as well as children's books are particularly popular. Finlay acknowledged that the used inventory will be a little more difficult to curate, but she plans to gradually bring in her favorite titles in many categories. She also plans to stock a variety of sidelines and nonbook items like greeting cards and book-related gifts, with the goal to have "something fun for everyone." Community and author events are also big parts of Finlay's plans. She wants to get the community involved with the store and bring as many people as possible into Vallejo's downtown, and to do that she'll host author events and readings, along with creative writing groups, poetry slams and children's storytime sessions. She added that the store is half a block from a "terrific" farmer's market, which should help drive business on the weekends. Finlay bought the store from Shannon Hartlep, who owned the store for a little over a year before deciding that she wanted to pursue other avenues. For Finlay, owning a bookstore of her own was something she's thought of for years, ever since working at bookstores during her high school and college years. And after entering the publishing industry in 2004 through a job at Lonely Planet, that desire only grew stronger as she spent years working with independent booksellers. At the same time, she thought it would be terrible if the town lost a bookstore. Once Finlay decided to purchase the store, she and Hartlep agreed that a fresh start and name change would be best. After spending some time brainstorming new names for the store, Finlay wrote about it on Facebook. All of a sudden, she recalled, she had over 300 comments of people suggesting names, and not long after, a friend sent her an Atlas Obscura link about Vallejo's "alibi clock," which is located around the corner from the store and in 1916 was used to help exonerate a radical labor activist of a murder charge. "I like the little bit of alliteration, it's got history, it's kind of intriguing and kind of weird," said Finlay. "I'm thrilled with it." Between now and June, Finlay is focused on the crowdfunding campaign as well as redoing the store's floors, buying new fixtures, changing signage, updating windows and rearranging the sections. A local artist is painting a Vallejo mural, and Finlay reported that in general, the community is thrilled that the bookstore will stay. Said Finlay: "There's been so much support from the community. It makes me really glad we're doing this."